I'm not sure this is the right place to post this, but I have to ask...anyone here have a Tracer GT? 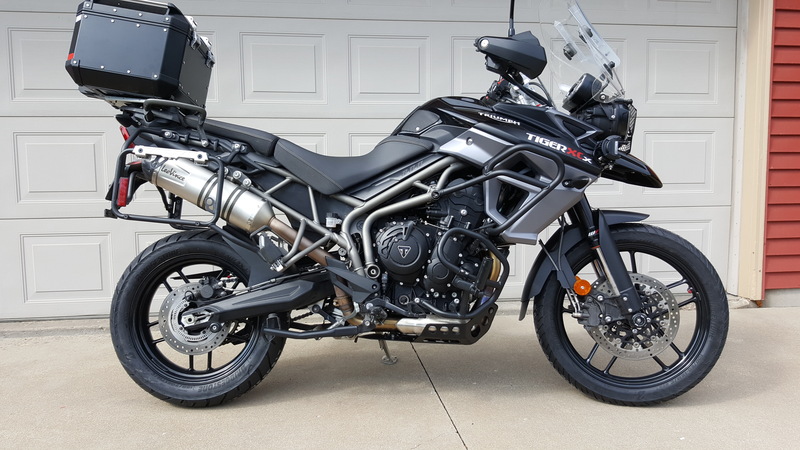 I have a friend that is trying to decide between a Triumph 800 Tiger and the Tracer. He's selling his FJR1300 and is looking for a replacement. His riding is primarily long distance touring and the occasional mountain twists romp. I will say he does a great job in the tight stuff, but it's too much of a workout for him. Thus he is on the hunt for something lighter and more compact. Over the past several years he's taken two week trips from Alabama to Four Corners, The Calgary Stampede and this summer's trip plans are make it to the Arctic Circle. Any thoughts on the Tracer GT? I've been looking seriously @ a Tracer GT myself. All the reviews I've seen & read are really good. I took a serious look at the Tracer as I was coming from a Harley Road King. I know they are not in the "same" category, but the main reason I didn't like the Road King is the weight! 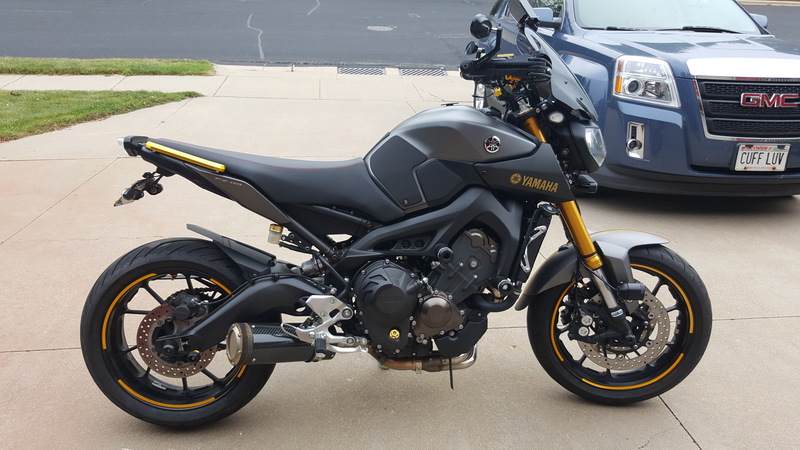 I compared the 2019 MT 09 and the Tracer 900 GT before deciding the MT 09 would fit my style more. I really liked the Tracer, but could not justify the cost difference for me as I do not do any actual long trips on the bike. 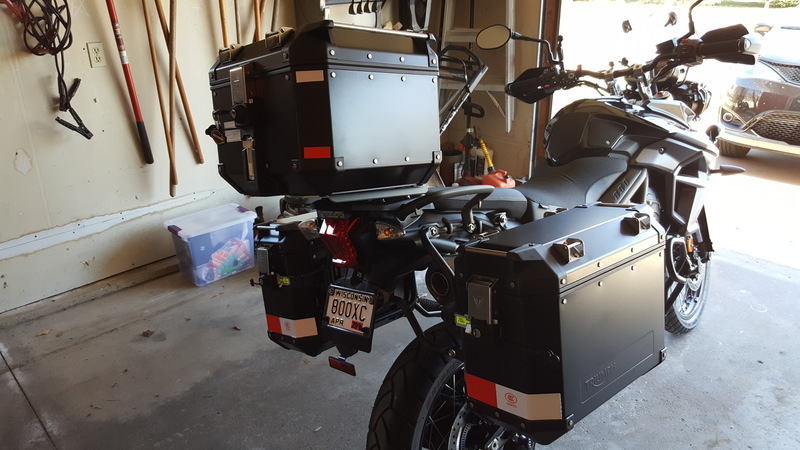 I figured I can add heated grips and windscreen for less than the $4K difference in price. As stated above, every review I read on the 2019 Tracer 900 GT says it is a very good travel bike. The reviewers were surprised at how comfortable it was and how many miles they could put on it in one day. I do not know anything about the Triumph Tiger, so can't help you there. I imagine you're much more likely to find a Yamaha dealer out in the boonies than a Triumph dealer. It may never come up that you need one, but that would still be a factor for me. Troop needs to post up regarding his new Tiger 800. Does the Tracer have electronic cruise control? The Tiger is a true adventure bike with long travel and capable of off road stuff. The Tracer has substantially less travel. The Tiger comes in an XR and XC with a few important differences. Both great bikes. The most important advice, in my mind, is to test drive each of them with his ultimate purpose being the primary focus. There are so many other choices as well. Last edited by Tigershark; 12-21-2018 at 03:45 PM. Yes, the Tracer GT has electronic cruise control. Last edited by troop; 12-22-2018 at 06:33 AM. Tigershark, ridetofish and Stellmon like this. Thanks for the replies. Troop, your comparison was extra helpful. I've never owned an unreliable motorcycle, so considerations about dealer network have never entered my mind. I will say my buddy may think differently when he is on the Haul Road headed for the Arctic Circle. And he is of, ahem, short stature. And I got a giggle out of your tags on your truck. Your friend may be even happier with the XRx low model. Seat heights can be adjusted from 30" - 30.7" and still has 5.5" front/5.9" rear suspension travel. Also, lots of adventure style tires available with the 19" front tire.. I have a 2014 Tiger 1200..the engine is an absolute joy....it will pull like a train from almost any RPM . I was not happy with the suspension so I had it redone by Traxxion Dynamics ..the newer bikes with the WP suspension are much better stock than mine was..that being said, I think the Tiger is a better choice if he plans on touring with it. The tiger is heavier and it will feel heavier moving it around, but all that weight disappears once your moving.